Galor and Weil’s model of fertility and technological frontier (widely replicated by other authors – Yakita, Galor, Basso and Cuberes, Becker et al and presenting conclusions also reported by NIH) concludes individuals choose between allocating their available effort to increasing the quantity of descendants or improving the quality of descendant’s human capital. The model foresees that this choice shall inevitably lead to decreasing fertility as society improves its technological profile: individuals improve their income and from a certain moment onwards technology improvements leads to lower fertility and higher human capital. Whereas the lower wage premia may have led a fertility increase between 2003 and 2007, the persistent decline of both measures from 2008 onwards suggests a different status. This Modern (thus characterised by the authors) dual decline is also foreseen in the model – yet it would have required a decline in both earnings and education. 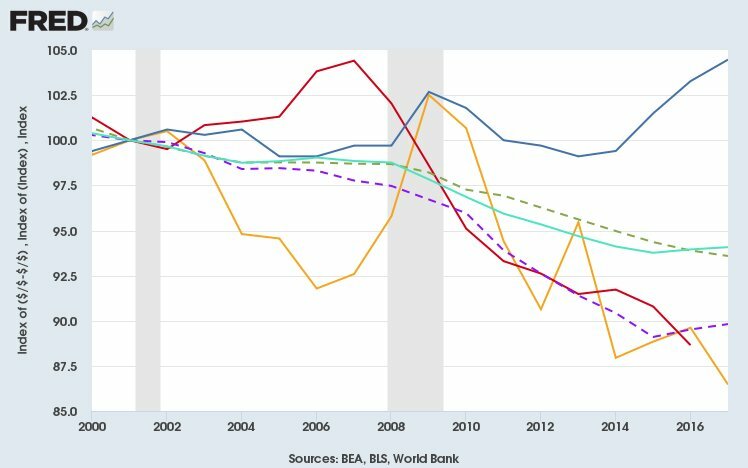 And yet the Master educated labour force (dark red, on the right) is increasing faster than broader labour force (purple). 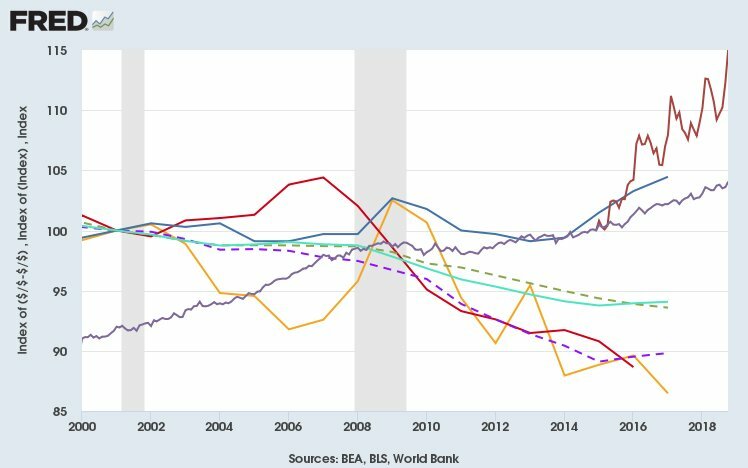 Instead, lower wage premia combined with a skew towards higher qualifications implies less available income in the working population and increasing demand for education in the present generation. That is, individuals’ demand for education increased costs by 120% in 16 years (not shown) impacting their budget and disposable income. The effect of proximity to the technological frontier through education is likely manifesting in the present generation’s fertility strategy rather than its fertility strategy adapting to consider the returns to education in the following generation. Thus, lower returns to education may be reducing the present generation’s thrust to procreate. Update the IMF also finds income affects fertility. You’re very welcome, thank you for the compliment.